Located in France’s Champagne Region, Reims offers travelers more than just a fancy, boozy beverage. The town is actually rich in history. Did you know that the German Regime signed the official surrender of World War II right here, in the Reims’ Lycée Franklin-Roosevelt? In this guide, you can find our top suggestions of things to do in Reims, France. 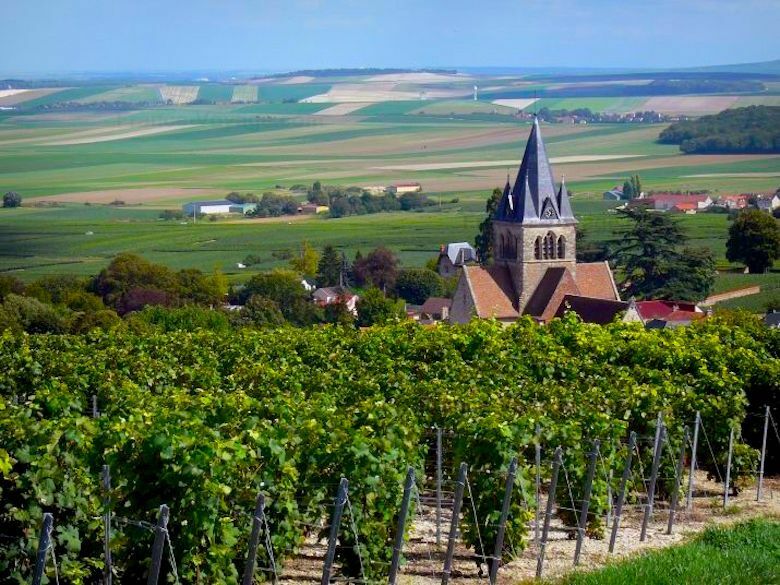 A vacation to France is simply not complete without a visit to the Champagne region. Explore local Champagne houses and charming towns on our Day Trip from Paris to the Champagne Region. Taste the delicious local goods and discover the inviting towns of Reims and Épernay. While visiting Paris, be sure to also check out our selection of Paris tours. With over 900 years worth of coronations under its belt, the Reims Cathedral still stands tall and proud like the kings that were once coronated here. The cathedral has withstood both World Wars and has most of the beautiful architecture still in tact to show for it. International effort to restore the Cathedral to its original composure still continues. If you decide to explore this cathedral, look out for the Gothic architecture and stained glass ceiling. The cathedral’s picturesque design will definitely make for the perfect picture. Saint Remi is the patron saint of Reims, so you can see why they would have a church dedicated to him. Saint Remi was a bishop who is mostly known for baptizing Clovis the King of Franks around the turn of the 6th century. Now, the Basilica is a UNESCO World Heritage Site. The building’s architecture was proclaimed a Gothic masterpiece for its sculptural decoration and architecture; although, parts of the building are much older than the Gothic period. Reims’s fine arts museum is a direct product of the French revolution. Since being seized from the region’s aristocracy, the museum’s inventory has grown tremendously because of donations. The Musée des Beaux-Art gives an in-depth overview of the main European art movements from the 1500’s to the 1900’s. The museum does this by displaying various works by famous painters such as Renoir, Money, Charles le Brun and Matisse. The Musée des Beaux-Art is also renowned for having a Camille Coroy collection. Camille Coroy was a famous 19th century landscaping artist and his work at this museum is actually the second largest collection in the world. This museum is like a French Auto Show that is open all year round. With over 230 cars on display and an assortment of over 5,000 mini toy cars to peruse, there is something for everyone. You will learn all about the history of the French automobile and view some of France’s oldest cars dating back to 1908. The Musée Automobile has an exhibit dedicated to long defunct marques featuring French Vehicles from Salmson, Berliet, Chernard-Walcker and Delage. Most of the cars featured in this museum are limited editions and some are amidst the last remaining models in the world. Since this palace is located directly next to the Cathedral, it is to no one’s surprise that this is where the king’s coronation banquets took place. In this stunning palace, coronated kings donned their elaborate robes. On display, you can actually find a 9th-century talisman that belonged to King Charlemagne. You can also find some of Reims Cathedral’s most precious treasures there, such as golden chalices and reliquaries. Also, the Holy Ampulla is held here, containing oil from every coronation from Louis VII to Louis XVI. Since Reims is one of the three cities that were badly damaged during World War I, the city was chosen to receive a library from the American Philanthropist, Andre Carnegie. The Library’s catalogue contains medieval manuscripts, numerous books printed during the Ancien Régime and incunabula (books printed before 1501). The most impressive feature of this library is that entry is free for everyone. As said above, Reims is where the German Regime signed the official letter of surrender for World War II. The letter was signed right here in this very museum, once named The Reims’ Lycée Franklin-Roosevelt, on May 7th 1945. This museum is packed with memorabilia, photos, framed newspaper articles and medals. The very room where the letter was signed has been untouched ever since and is still on display today, 70 years later. Le Parc Restaurant Les Crayères is a beautiful restaurant with a stunning dining hall that is so captivating, you need the smell of the delicious food to bring you back to reality. The service is just as great as food and it is said to be one of the best gastronomic experiences in France. For more of a local eats flavor, try Chez Jerome. This restaurant is located .3 miles away for the Cathedral, so you know where you are going for Sunday brunch after Mass. The view of the Cathedral, although beautiful, does not even come close to the presentation of the food that you will get here and the taste is even better. Of course, we cannot forget about the Champagne. With Reims located in the Champagne Region of France, it only makes sense that this town would be the center for Champagne production. There are numerous Champagne houses that you can go to, take a tour and sample Champagne in. The Mumm, the Veuve Clicquot-Ponsardin and the Tattinger and Ruinart Houses are all open to visitors. These houses are built on top of underground tunnels or crayères that stretch for miles across the span of the city. 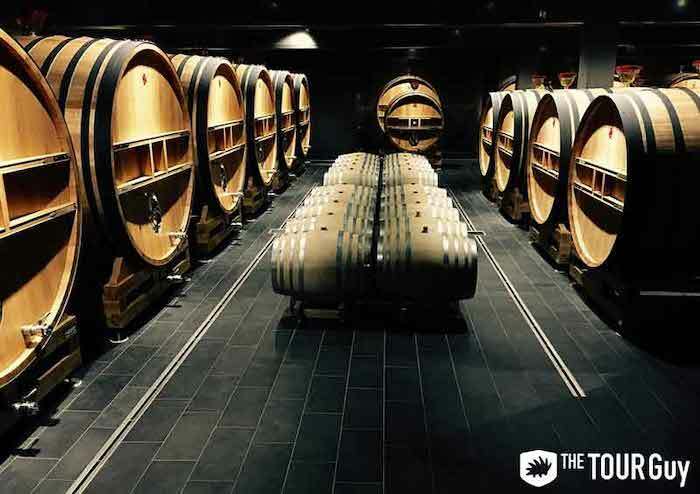 Be sure to check out our Day Trip from Paris to the Champagne Region for a guided tour of the Champagne Houses and some delicious Champagne. The tunnels may seem complicated to navigate but with the help of a tour guide and the chalk map drawn on the tunnel’s walls dating all the way back to Roman times, it is actually quite simple and very rewarding.